Vapourtec’s Flow Commander™ software features the “Walk up” open access interface, Flow Wizard. 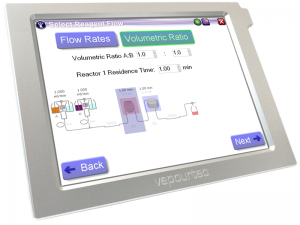 Flow wizard enables a user with little or no knowledge of the system to start and run a single reaction with a few simple touch screen button presses. 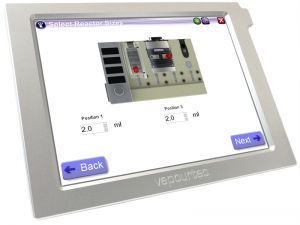 Using the large, clear touch screen, the user follows a simple step by step “wizard”, specifying the reactor layout and the parameters of the desired reaction in a few seconds. 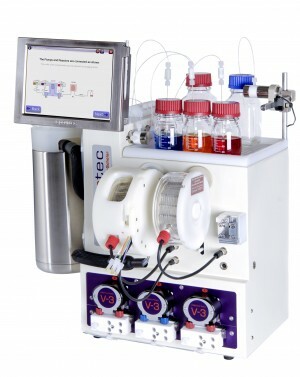 He or she then starts the reaction and the system automatically moves to the requested temperature(s), runs the whole reaction (capturing the required product), and then flushes the system with system solvent before shutting down. 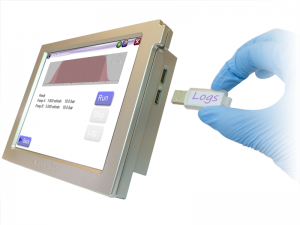 Meanwhile, detailed setup parameters such as installed pipe lengths are pre-set using the conventional Flow Commander™ interface, so the walk up user need not deal with these at all. 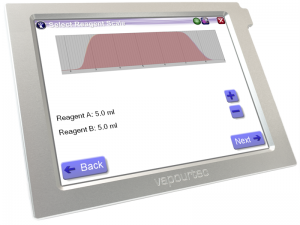 First, the user chooses how the reagents will be supplied (fed from bottles or injected into sample loops). Any permutation is possible. 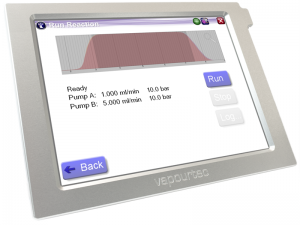 To make it even simpler, reactor configuration is illustrated with onscreen pictures, and the system even reports which reactor types are currently installed. Users can choose from columns, or tube reactors, and between cooled, standard or high temperature reactors. The working size of each reactor is specified. 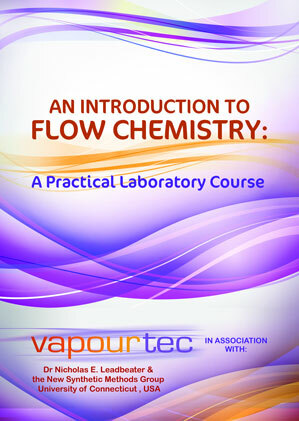 The key parameters of temperature and flow now need to be set. … and then flow rate. … or by setting the volumetric flow rate and then changing the overall flow to achieve a target residence time in the reactor of interest. Next, the scale of the reaction is specified in terms of the amount of reagents to be used. 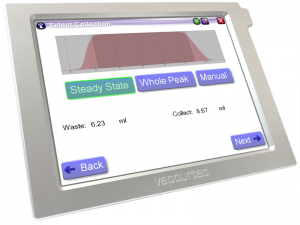 The existing tried and tested Vapourtec dispersion model from Flow Commander™ is used to determine collection timings so the user can simply specify whether to collect the whole peak or just the steady state part of the peak. 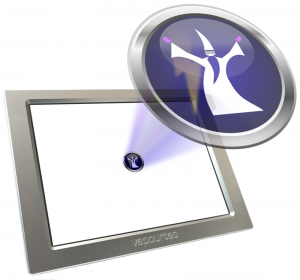 Alternatively, the user can define the collection volume manually. Once the collection has been specified, the reaction can be started. Before commencing, the system checks that the user has primed the system. If not, the priming screen is presented. Once the reaction has commenced, the user sees a progress bar and a list of the different steps required to complete the reaction. 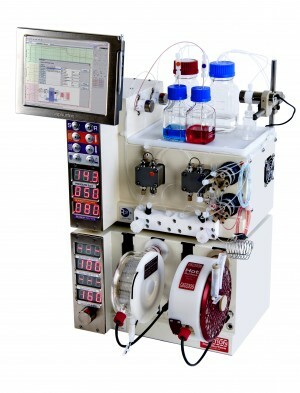 Note that parameters such as flow rate, pressure and temperature are displayed on the large bright main instrument display at all times. When the reaction is complete, the user then has the option to export the data from the reaction. A report can also be generated.